This movie opens with a young Indigenous boy explaining how he found his father murdered. His father, Rober de Jésus Guachetá, a Nasa leader in Cauca, southwest Colombia, was dedicated to education. He had helped found the Intercultural Knowledge School on his reservation of Honduras, which educates adults on topics such as Indigenous cosmovision, self-determination and human rights. Education is viewed as a form of cultural resistance. Cauca is a historical and contemporary hotspot of Indigenous resistance and organizing. An influx of multinational companies (timber, hydro-electric and mining) has paralleled the increase of paramilitary activity and threats against Indigenous leaders in the region, especially since 2007. The situation documented by this short film is one replayed out continuously in Colombia. 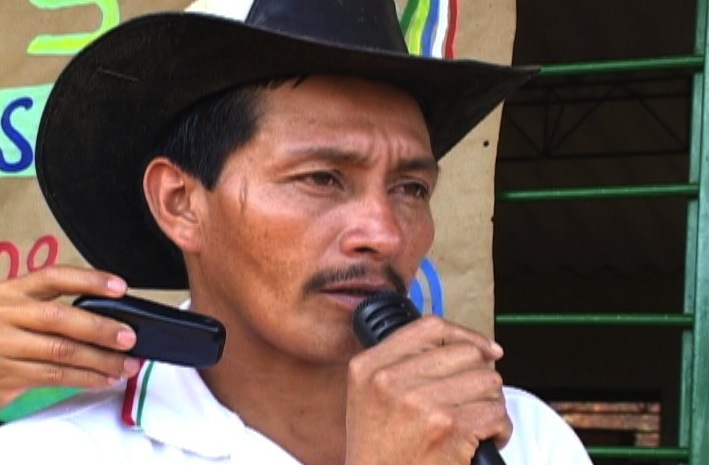 In fact, just one week ago on Oct. 15, another Indigenous leader, Rodolfo Aricate Amaya, was murdered in the same department (or state) of Cauca. According to the National Indigenous Organization in Colombia (ONIC), there have been more than 100 assassinations of Indigenous people in the country this year alone. Few if any murders are solved or perpetrators convicted. A snapshot of a premeditated death of an Indigenous leader, and about his community telling the story, The Work Goes On is a testament to on-going political violence and the violation of Indigenous rights in Colombia. It is vital to pay homage to the memory of all the Rober Guachetás of the world, and to disseminate information about the Indigenous struggle in Colombia in particular. The video comes full circle when it closes with another heartbreaking comment from the late Rober’s son, explaining with inspiring composure how his father’s work must continue. For its capturing the urgency of this topic, I give this documentary 5 out of 5 stars. Tamara Dionne Stout is a Masters student in the MA program in Aboriginal Governance at the University of Winnipeg, and has been a resident of Bogota, Colombia for many years.